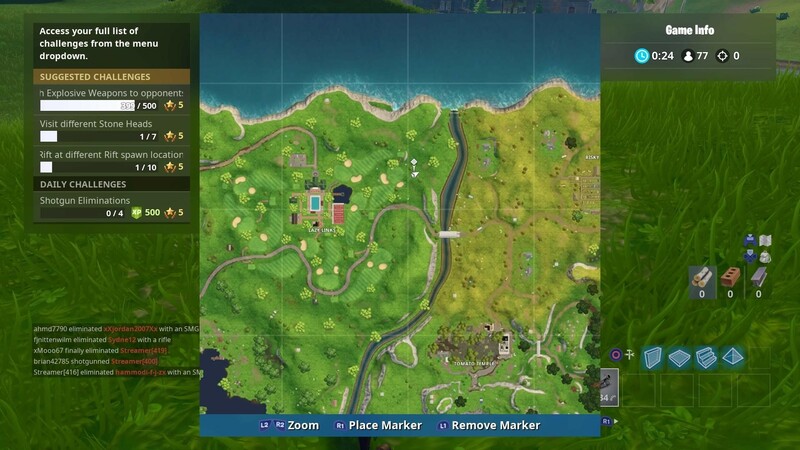 Where will the giant cube move next, what’s going to happen before the end of Season 5, and what massive changes will come to the map in Season 6? At the moment, we’re too busy grinding our Battle Pass up to level 100 to unlock that sweet Ragnarok skin to worry about it– this is your last week to do so! If you don’t have a Battle Pass yet, it’s not too late, every challenge ever released this season is still good! Season 5 will come to a close soon, but that also means you have a whole season’s worth of challenges waiting for you right now. 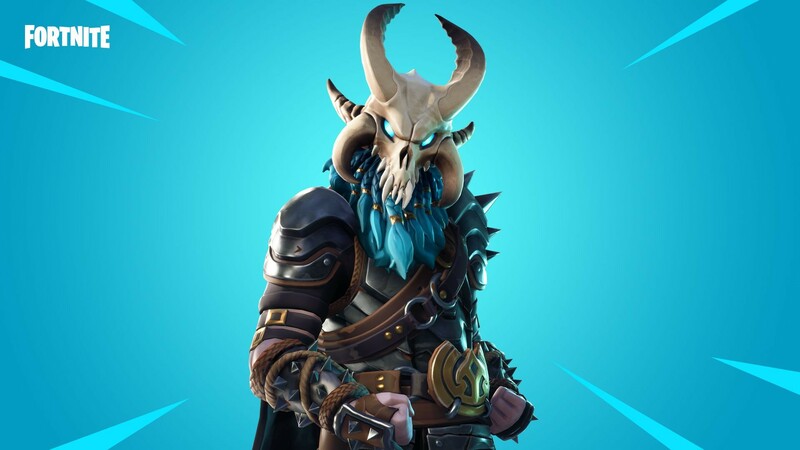 So grab some V-Bucks from our webstore HERE, buy a Battle Pass in-game, and get those limited time unlocks while you still can. If you’re new to Fortnite and/or the whole weekly challenges thing, you can learn more about what you can earn from these challenges in our blog post HERE. There you can also learn why getting a Battle Pass and completing all of the challenges is worth doing. You can also find guides for past weeks challenges on our blog. Go to the front page of the blog HERE to search for challenges from previous weeks — remember, all challenges are good all season long! There are a lot of basements, and they’re all over the map, so this could be fairly challenging — but that’s part of the fun, right? We don’t know in which basements the puzzle pieces will be, but to make it a little easier we have a map below of all the basement locations. There are 8 total, so only 1 won’t have a piece in it! Eating apples or mushrooms will build up your shield, so by the time you complete this one you’ll be fully prepared to tackle some of the combat related challenges (like the one coming up next). 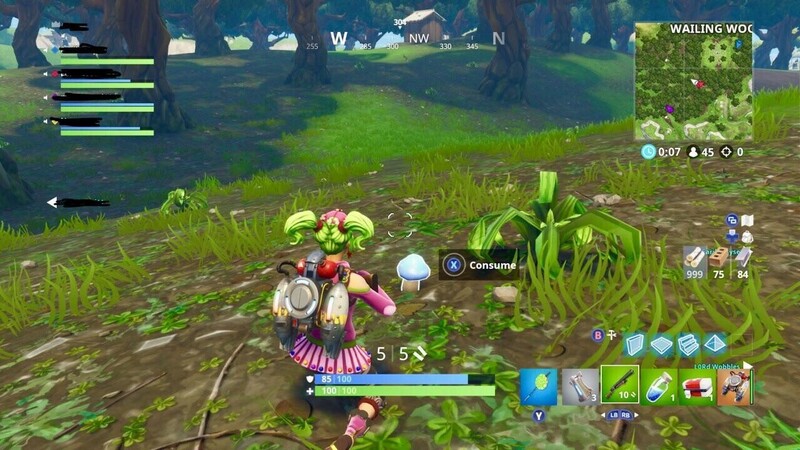 You can find apples and mushrooms in wooded areas like Wailing Woods, or near the stream by Lonely Lodge, near Junk Junction, and also by Dusty Divot. You don’t need to do this all in one round, but you could if you’re pretty good! 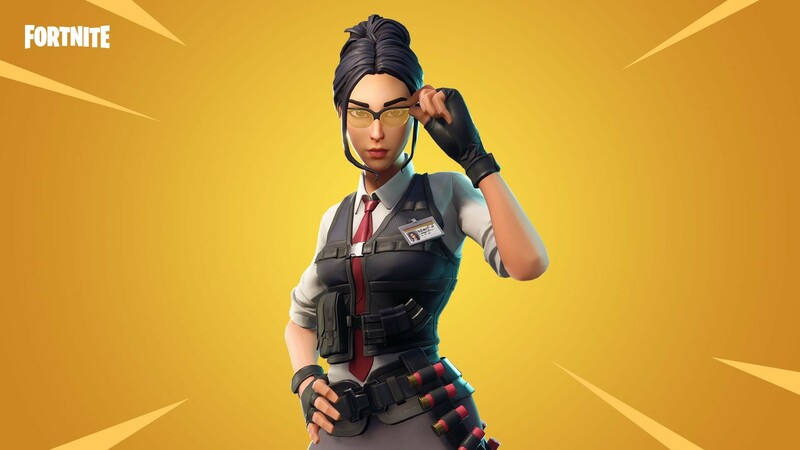 Your best bet, as with most elimination based challenges, is to get this completed in a 50v50 game. 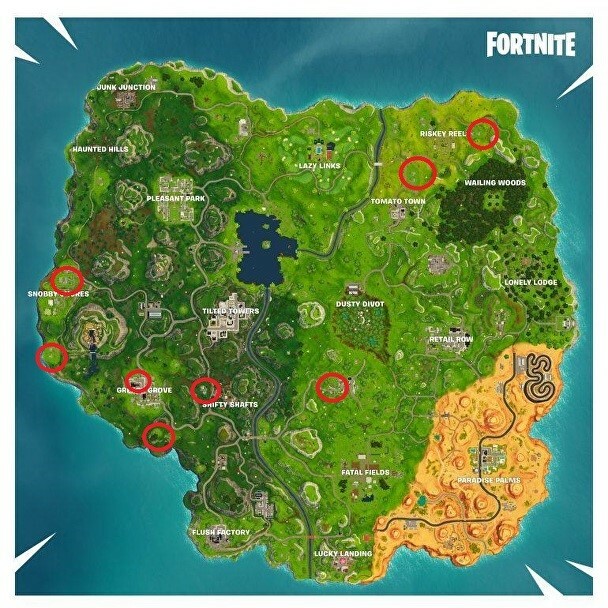 Below you can find a map of all the chest locations in Salty Springs. The area circled contains the three chests we recommend you go for first. Those chests will be visible from the outside of the structure, so you can check if they’re still there or eliminate any opponents who might be lurking nearby. After those three chests you can make your way to the rest in the outskirts of the area, while avoiding some of the chaos in the center. This challenge was also in Season 4, so if you found a strategy that worked for you then, try it again! We recommend using the same strategy you did for for the elimination challenge above. 50v50 games will help you complete this challenge faster, and you don’t have to get all the damage in one game. Just keep at it; it’ll add up faster than you think! Another cryptic triangulation to find a hidden Battle Star! Yay! Try to locate it yourself if you like a challenge, or simply check out the location in the screenshot below. This is another straightforward “assassination” type challenge. 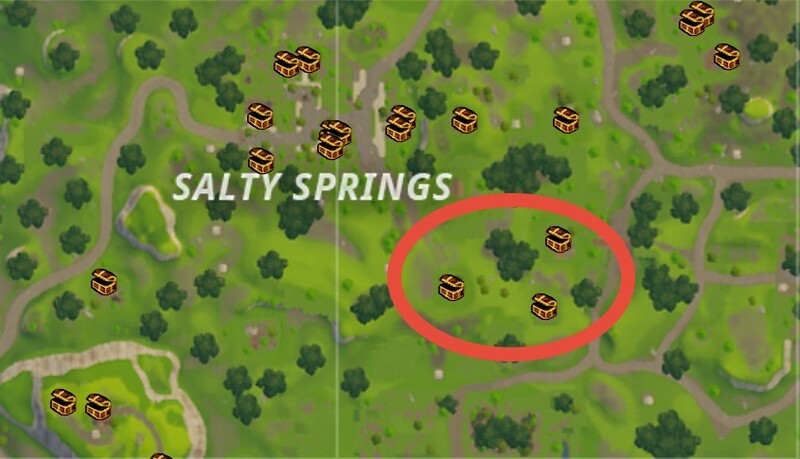 After you eliminate an opponent in the Park, you’ll be given two other specific locations to secure eliminations. To make it even more fun, you can pretend like you’re a secret agent on a special mission. No? Just us? OK nevermind. What did you think of Season 5? Better or worse than the last one? Join the Fortnite community on our Facebook, Twitter, and Instagram and let us know what you think!